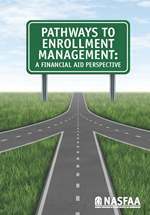 Whether you seek a leadership role in EM or simply want to make your views heard, Pathways to Enrollment Management will provide you with the key concepts and background you need to engage in EM discussions at every level. Whether you’re the financial aid director or an understudy rehearsing for the leading role, You’re the Director: A Guide to Leadership in Student Financial Aid (2nd edition) can help. In this anthology, written by and for financial aid professionals, you will find guidance on leadership, long-term planning, crisis management, budgeting, hiring, and so much more. This book is a must-have for new and aspiring financial aid professionals, as well as for seasoned financial aid directors seeking to improve their leadership skills. Either way, you’re guaranteed to steal the show. Who should pay for college? Who should be helped? How long should assistance last? Published in 2010, this book by student aid veteran Joseph A. Russo explores these and many other fundamental questions in financing American postsecondary education. Each chapter takes on an important topic and reviews and highlights various aspects of student aid, such as its history, the concept of need, tax policies, special challenges, future issues, and much more. Joseph A. Russo, former director of student financial strategies at the University of Notre Dame, is the author or coauthor of three books and dozens of professional articles, and has testified before the U.S. Congress on major student aid public policy issues. He served as editor of NASFAA’s Journal of Student Financial Aid for 21 years. Get your copy as a gift when you make a contribution of $50 or more to the Dallas Martin Endowment for Public Policy and Student Aid. Or, place a bulk order.